Gone are the days of carrying bulky hard disks and even diskettes. Data storage has evolved and improved into minimal products such as flash drives and memory cards used for hand held devices like phones and tablet PCs. But the most up to date technology when it comes to storing data is now readily available not only for business but for personal usage as well. What is it? Look up in the sky for clouds! I’m not talking about the quite literal cloud in the sky but the point of comparison is due to their similarity in some areas. Like clouds, cloud storage appears to be unreachable. Your data is saved in some remote location that’s physically inaccessible but can be accessed anywhere you are using devices with Internet connection. Companies offering this service employ the use of data centers that are secure both physically and online as well. Data centers can be comparable with an NAS or network attached storage which business use except that data saved through this system is only available within the network; whereas, cloud is literally available on any device capable of connecting to the Internet. The user will just need to login to the cloud account over the web. The capability to access stored files online via cloud technology is also closely related to several applications online such as email, chat boxes, and document folders. In such sources, you are able to save a few files including images, videos, and the like within the message thread or a specific folder. The only difference is in terms of size. Naturally, profiles in websites can only save files within the set limit such as 15360 MB for public Gmail or 15 GB in Google Drive. Like the latter, cloud accounts allow file sharing, making it accessible to either everyone (when set to public) or to anyone who knows the file password. Cloud storage technology is often utilized by businesses in order to save money on paperwork or even NAS. Some of the most popular brands include JustCloud, Livedrive, SugarSync, Carbonite, BackBlaze, Mozy, Crashplan, Dropbox, SpiderOak, SOS Online Backup, MyPC Backup, Hightail, Zip Cloud and so much more. These companies differ in terms of storage size capacity, pricing, and features like number of computers and devices supported. Some support mobile devices while most do not. Cost efficiency. Although cloud services come with a fee, it is still cost efficient because you will save money on procuring other products needed for storage purposes including additional computers, hard drives, and NAS. You will also no longer require paperwork and the need for filing systems including cabinets, drawers, and the like. Space saver. In relation to the previous advantage, equipment and materials needed to file paperwork or keep data storage devices are no longer required, hence, saving office space too. Security. Physical data, particularly those containing pertinent or financial information can be exposed to security threats. With cloud or online based storage, data is securely encrypted in transit (while being saved) and at rest, preventing possible threat from hackers and unauthorized users. Backup and recovery. Cloud services back up your online data with a physical version located in secured data centers. Most cloud providers also apply mirroring. Herewith, files are duplicated and saved in two separate centers in order to have an extra backup if anything happens to the primary data center. This makes it easy to recover your files too in case they are needed. Accessible anywhere with Internet connection. As mentioned earlier, data saved on the cloud can be accessed through any device which can connect to the web. These include computers, smart phones, and tablet PCs. Sync, share, and collaborate. Files are synced throughout all devices so in case you make changes in another, the updates will also reflect in the other devices. Files can also be shared with anyone (public) or with specific users. Multiple employees can also simultaneously make changes to a single file and collaborate. Automated process. There is an option to automatically backup files based on a specified schedule. You can specify which types of files to backup and when it is done. It can be accomplished daily, weekly, monthly or so depending on your preferences. You save money because there will no longer be a need to purchase additional hard disk drives (HDD), flash drives, and memory cards. It saves you space used when filing the items above. While we don’t wish for robbers or even family members meddling with your files, there is a possibility that they may. Saving files on the cloud keeps your data secure and recoverable as well in case of fire or natural calamities due to the backup feature. Sync, share, and collaborate (see previous section) is also available for personal cloud storage. 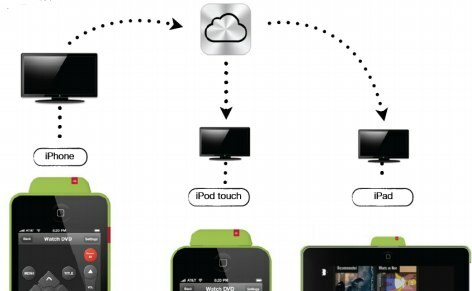 Video, audio, and image file streaming from the cloud straight onto any device is possible in some service. For example, you can watch videos, view pictures, and listen to music saved on the cloud directly onto a smart phone, smart TV, tablet PC, and any other compatible device. While most cloud services, whether for personal or business are paid, iOS users will definitely love iCloud. It works on iPhone, iPad, iPod Touch, Mac, Apple TV, and even Windows. Over the web, it is accessed and setup via https://www.icloud.com and comes with a free 5GB data storage space upon registration. Apps available on all devices. Anything you’ve purchased through the iTunes Store, App Store, and iBooks including applications, audio, video, and ebooks will be available on all devices. Your progress in one gadget is also automatically saved on all devices. For example, iCloud remembers which page you left off when reading an ebook. The same applies to applications played. Photo sharing. iCloud makes it easy to share images with friends and family. You can even invite them to contribute their own photos in your photo stream. iCloud also automatically saves captured images via iPhoto or Aperture on Mac. It stores the first 1000 photos only for 30 days in order to save space. iCloud and Find my iPhone Lets You Locate a Lost or Stolen iPhone, iPad, iPod, Mac, and PC for more information about this feature. iWork. The same automatic synchronization where progress in one device is automatically made available on another device is also applicable for iWork apps including Pages, Numbers, and Keynote. Third-party apps compatibility. iCloud is compatible with third-party applications as well. Safari tabs. Browsing has never been easier because iCloud saves your opened tabs in Safari when you reopen it through another device. iCloud Keychain. This feature makes it easier to remember account usernames, passwords, and banking details online and is kept secure through 256-bit AES encryption. Mail, contacts, calendar, etc. All important data such as these are stored and synchronized on all devices setup for iCloud under your account. Easy setup on iOS, Mac, and also Windows. Cloud storage makes data storage easy, cost efficient, space saving, and secure. With iCloud, all these benefits and more are readily available for iOS and other devices. This entry was posted in iOS, iPad, iPhone, iPod and tagged business, cloud storage, iCloud, iOS, Mac, personal, Windows. Bookmark the permalink.